Varese, 3rd November 2017 – Pirelli and MV Agusta are pleased to announce that they have reached a new partnership agreement based on which Pirelli has been officially selected as Sole Tyre Supplier for all the motorcycles manufactured by the company from Schiranna. 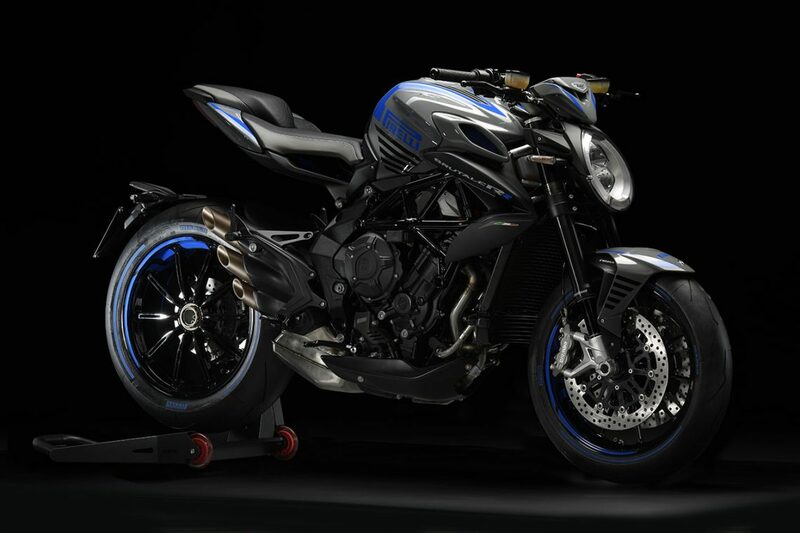 This means that all the models currently in production, as well as those that MV Agusta will sell in the future, will mount Pirelli tyres as standard equipment. 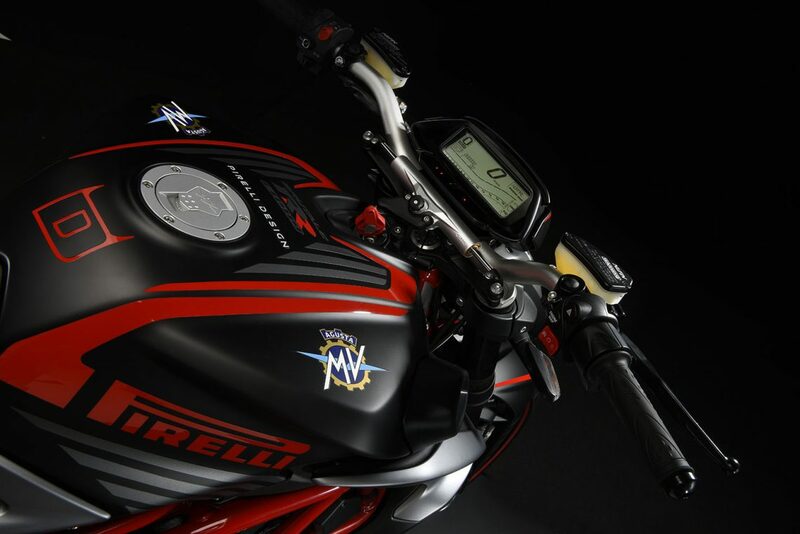 A vocation for excellence, strong roots in Italy and a sport and industrial heritage: MV Agusta and Pirelli have many characteristics in common. This agreement seals and makes official what has been a profitable and reciprocal collaboration for decades between these two Italian giants, popular all over the world and bound by common core values such as design and the “Made in Italy” brand, combined with a spirit of sports and maximum innovation that is acknowledged by all gearheads. 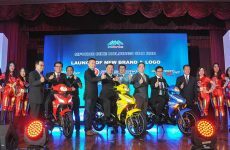 The increasingly close collaboration between the two companies merits celebration. 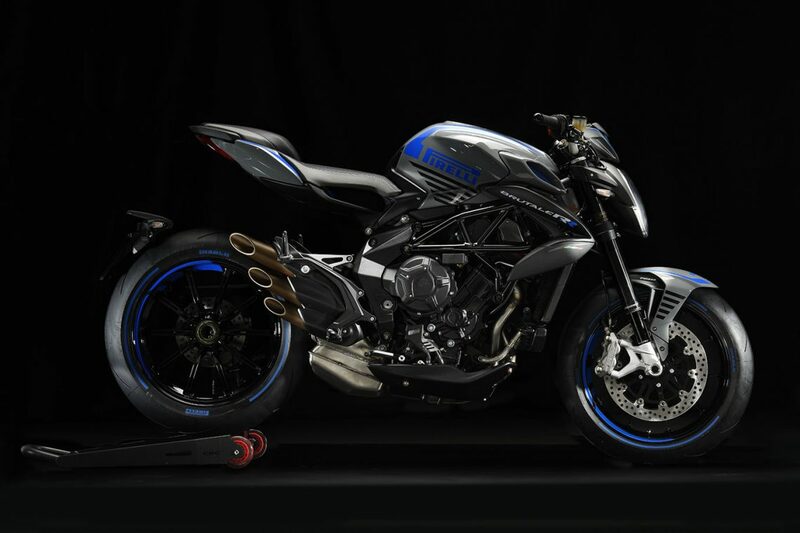 And so, a limited production edition of a highly successful model was born – the Brutale 800 RR – customised by the Castiglioni Research Centre in collaboration with Pirelli Design, the Bicocca laboratory specialised in conceiving design projects with partners par excellence. The result of this synergy is the “Brutale 800 RR PIRELLI”, as this version of the naked from Varese is called, with truly exclusive equipment and components, manufactured in very limited production run. The technical base is made up of the Brutale 800 RR, the sport naked that sets the bar in the segment, thanks primarily to the performance of the compact, three-cylinder, in-line engine. 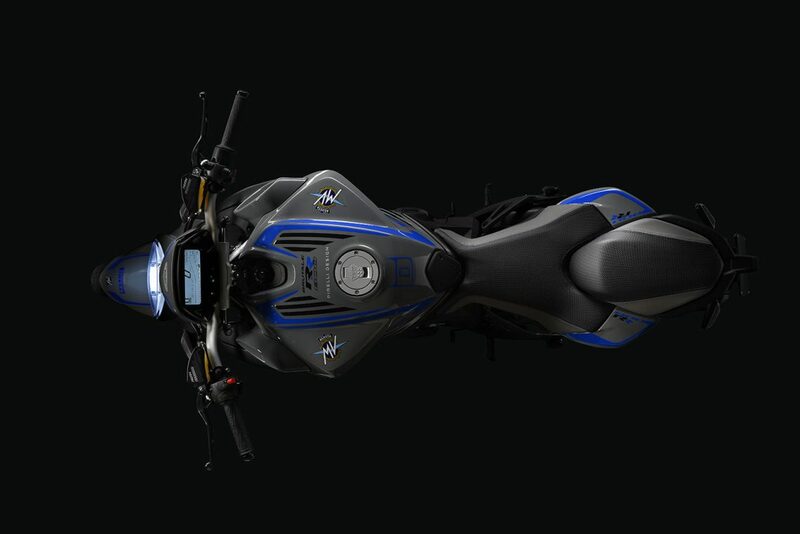 The chassis architecture, built around the original, mixed-structure frame made up of a steel tube trellis and aluminium alloy lateral plates, is also essential to achieving the right riding feel and the dynamic exuberance that the Brutale 800 RR has provided since it was first launched. The customisation of this model in a limited edition focused mainly on the components and colour schemes. For example, the saddle was custom created for the Brutale 800 RR PIRELLI and it stands out with its stitching that is coloured to match each of the two available colour schemes. The headlight unit bracket is painted black, as is the rear subframe. The airbox output grilles are also painted and the wheel rims also boast new features: to reduce weight and increase handling, the engineers decided to mount components derived from the F4, which are characterised by their racing design, very essential and elegant. The rear rim also has a wider channel, now 6 inches, to hold the new tyre size which is specific for this version of the Brutale 800 RR. Obviously, the tyres also play a role of primary importance. 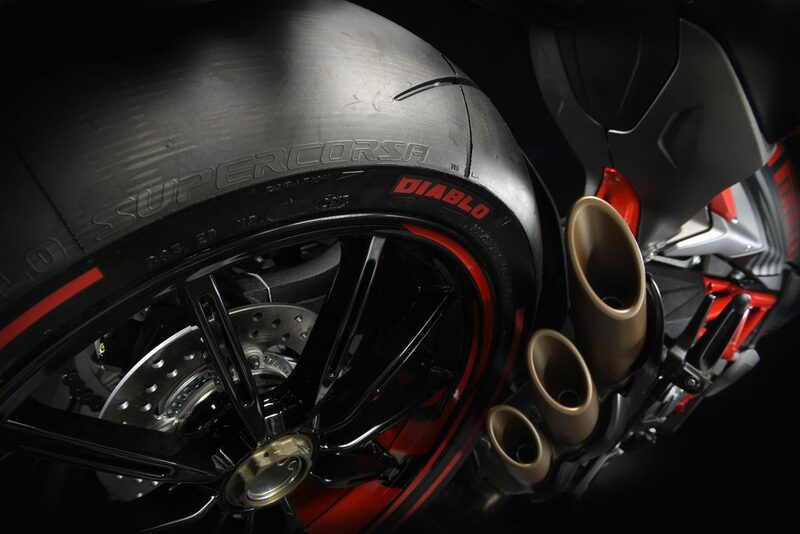 Compared to the standard model that comes standard with DIABLOTM ROSSO III tyres, the Brutale 800 RR PIRELLI mounts DIABLOTM SUPERCORSA SP tyres in the 120/70 ZR17 front size and 200/55 ZR17 on the 6” rear rim made specifically for this model. A rather spectacular option that can be chosen when you order your Brutale 800 RR PIRELLI is the limited edition tyre with coloured walls. 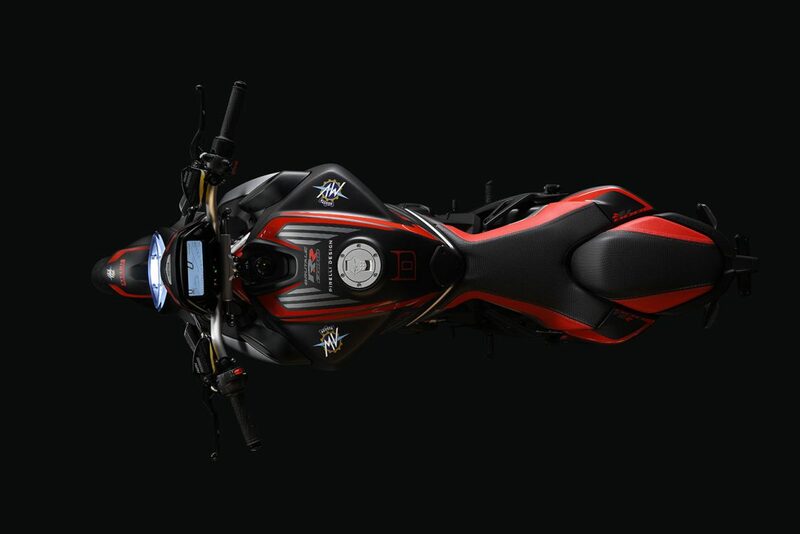 The colour schemes conceived by specialists from the Castiglioni Research Centre and Pirelli Design are intended to enhance the lines of the Brutale 800 RR and to highlight the exclusive partnership with Pirelli. The first proposal has a matt black base with glossy red painted inserts. the Pirelli logo is also done in red on the sides of the fuel tank. The DIABLOTM logo also appears to identify the range of high performance Pirelli tyres and it is placed on the fuel tank near the cap and the tank guard itself. The second colour scheme is on a grey base with Blue inserts. The (optional) coloured tyres will respectively have a red or blue band, depending on which colour version they are mounted on. 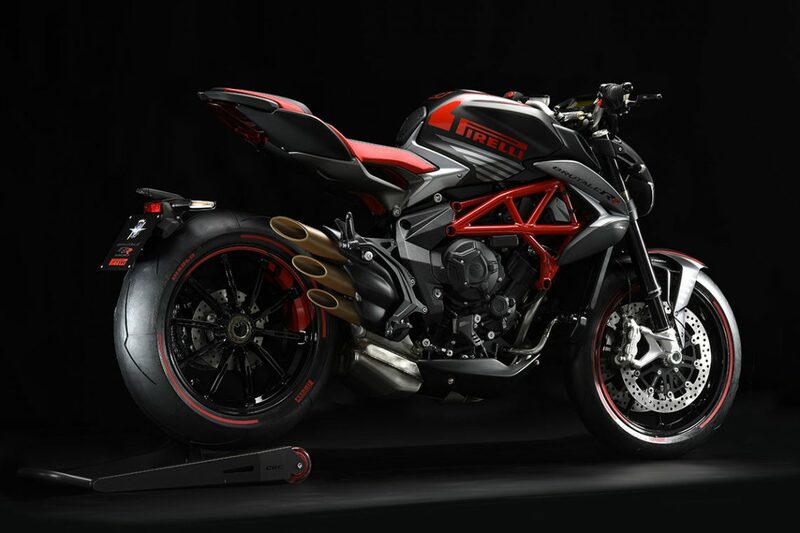 Pirelli has already collaborated with MV Agusta in the past on customising a Brutale 800, as in the case of the “Diablo Brutale”, but always as a single, non commercialised unit. 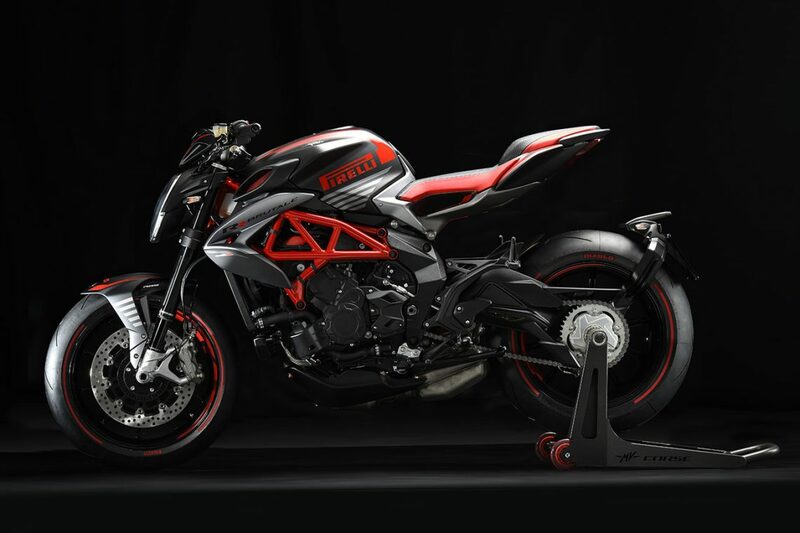 The “Brutale 800 RR PIRELLI”, on the other hand, is the the first MV Agusta model customised by Pirelli that will go into production and be sold in a limited edition, thanks to a separate license agreement between Pirelli and MV Agusta. 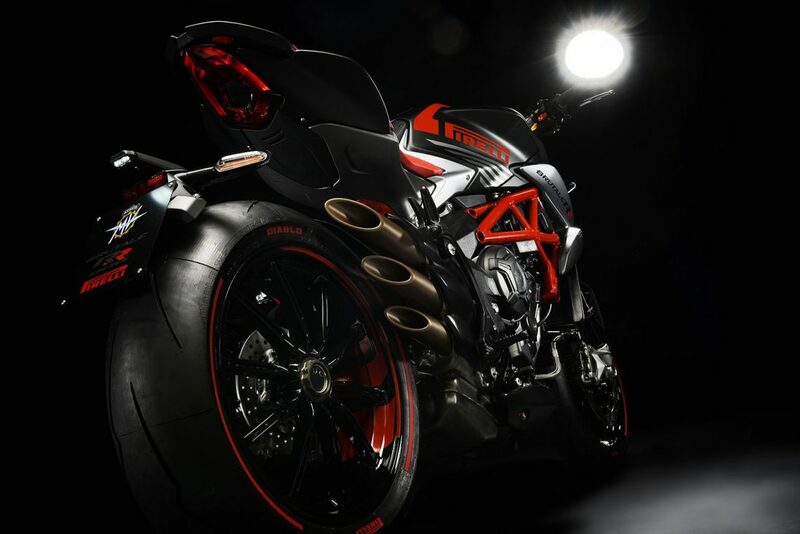 The “Brutale 800 RR PIRELLI” can be admired by all motorcycle enthusiasts at the EICMA show, scheduled from 9 through 12 November 2017 at Rho Fiera (Milan) in the MV Agusta exhibit area, Pavilion 22, Stand I48.